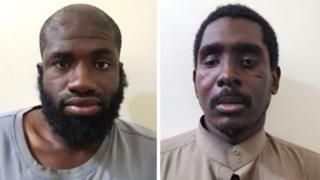 Two American men fighting for the Islamic State (IS) group in Syria have been captured, according to a US-backed Syrian militia alliance. 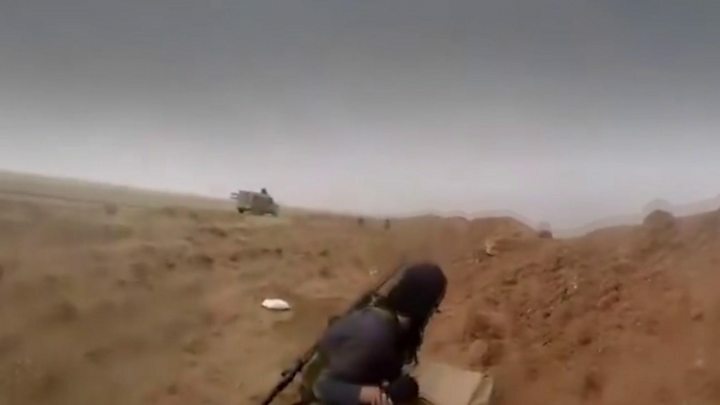 The Syrian Democratic Forces said on Sunday they had captured Warren Christopher Clark from Houston, Texas, and Zaid Abed al-Hamid during fighting. According to the alliance, the men were caught planning a terrorist attack on fleeing Syrian civilians. They were arrested along with suspected fighters from Ireland and Pakistan. Pentagon spokesman Sean Robertson told US media: “We are aware of open source reports of reportedly American citizens currently in custody who were believed to be fighting for Isis. US officials have previously estimated that the Syrian Democratic Forces (SDF) have more than 700 foreign fighters in custody coming from around 40 different nations. The men were arrested along with two Pakistanis and one Irishman in an operation to clear a region of northern Syria of remaining IS fighters, says the SDF. According to Seamus Hughes from George Washington University’s Program on Extremism, Mr Clark had submitted a CV and cover letter to IS asking “to get a position teaching English to students in the Islamic State”. According to the New York Times, he graduated from the University of Houston, before moving to Saudi Arabia and Turkey to teach English. According to Mr Clark’s resume, he taught English as a Second Language as a substitute teacher for the Fort Bend Independent School District between January 2009 and November 2011. The SDF did not say where in the US Mr Hamid comes from, but according to extremism researchers he may originally be from Trinidad. Simon Cottee, who is writing a book about Trinidadian IS fighters, told the New York Times that Mr Hamid’s name appears on a database of 130 men from the Caribbean island nation who are believed to have joined the group. In an IS propaganda video from 2015, a man believed to be Mr Hamid talks about his conversion to Islam and his difficulties practising his faith in his homeland. “Even though I had a very comfortable life in Trinidad, there was something that’s telling me, you know, that I don’t belong in this place,” he says.